a patient diagnosed with Acute Kidney Injury (AKI) or Chronic Kidney Disease (CKD). News and information specific to the renal team and facilities of St George's Hospital and satellite units. As a jumping off point to many excellent information resources around the NHS and internet in general. Access to individual patient applications as and when they become available. Understand kidneys, their function and impact that Kidney Disease has. 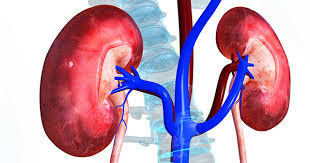 Investigate common symptoms of Kidney disease and major causes. Unsure about getting your kidneys tested. Recently diagnosed and wanting to manage your lifestyle to minimise the progression of the disease. Get an idea of what will happen to you if you are suddenly admitted to the hospital with kidney failure. Review the different treatment options that are available including different types of dialysis and kidney transplantation. Understand what the Advanced Kidney Care Clinic can offer if you have received an invitation to attend. What diet should you be following? If you're a local GP why not start here. We've pulled together information that we hope will help you, your practice and your patients. If you are considering being a kidney donor, firstly thank you. There are many resources around the internet to help. We have pulled together those that we have used in the Kidney Donor page.